In these years, the jazz environment in Aarhus is undergoing a very creative period in which we find many young jazz musicians, organizers, etc. working with exciting and innovative projects. Therefore, after the idea of ​​musician Daniel Sommer, Aarhus Jazz Festival has taken the initiative to set up an "Aarhus Jazz Talent" award. This year´s prize consists of DKK 10.000 and a concert at the venue ATLAS. 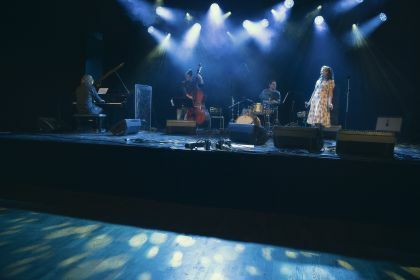 The five jury members had 14 good candidates to choose from, but they ended up choosing Karmen Rõivassepp, who becomes the first recipient of the new jazz award Aarhus Jazz Talent. The prize is awarded to a person or initiative that has been extraordinarily noted and has shown a special talent in his og her work for jazz music in Aarhus. The jury's motivation reads: "Karmen Rõivassepp receives the award for her versatile work as a musician, composer, organizer and conductor. Karmen is an incredibly talented singer with a high artistic level and her music is beautiful and exciting. She shows this in her own orchestras, whether it's modern jazz quartet or Rõivassepp bigband, and in various other bands and projects. She is able to bridge the gap between styles, people and expressions. Karmen is THE new name in Aarhus, and on top of this she wishes to stay in the city. Therefore it is fully deserved that she becomes Aarhus Jazz Talent 2018. " The official award of the Aarhus Jazz Talent Prize 2018 takes place at ATLAS Tuesday 5 February 2019 20:00, where the Karmen Rõivassepp Quartet will be playing. The quartet consists, besides Karmen herself, of Simon Eskildsen (piano), Adrian Christensen (bass) and Daniel Sommer (drums). Since Karmen Rõivassepp moved to Denmark for studies at the Royal Academy of Music in Aarhus, she has become an integral part of the Danish jazz scene. 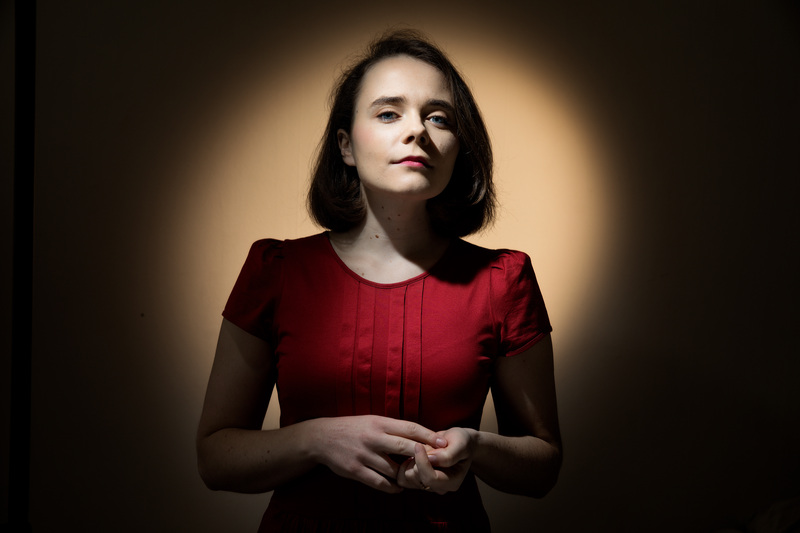 With a constant search and hunger for developing the voice as an instrument, she has found her personal style that can be heard on Karmen Rõivassepp Quartet's first CD release Dance of Sounds, which in 2018 was nominated for a DMA Jazz Award in the category New Jazz Name of the Year. In addition to her career as a singer and composer, Karmen is the musical leader of four amateur orchestras. The prize of 10,000 kroner is sponsored by the foundation, Aarhuus Stiftstidendes Fond. Members of the jury are: Mads Kjær Jensen, Chairman of the Executive Committee of Aarhus Jazz Festival & Student Leader at the Royal Academy of Music in Aarhus. Daniel Sommer, musician and organizer. Niels Overgaard, editor of the jazz blog JazzNyt. Andreo Michaelo Mielczarek, writer and music reporter and Gorm Askjær, Aarhus Jazz Festival's secretariat & musician.